Any strategy is only as good as its implementation. 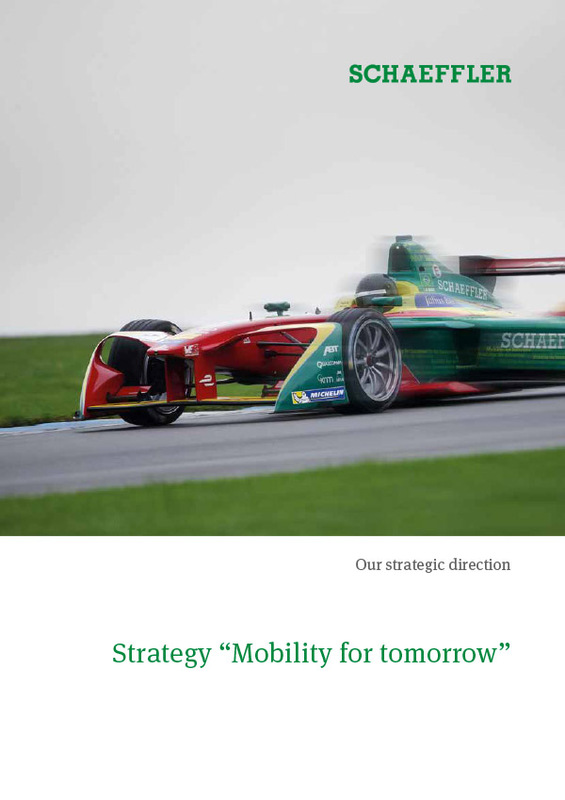 In preparing our strategy concept, we have therefore put a great deal of thought into how we can implement our strategy as efficiently and consistently as possible. Building on the positive experience we had with our first transformation program “One Schaeffler” drawn up after the change of management in October 2013 and successfully rolled out by the end of 2015, we have developed a tailor-made program of excellence which summarizes our key strategic initiatives in five categories. We therefore call our Excellence program “Agenda 4 plus One”. 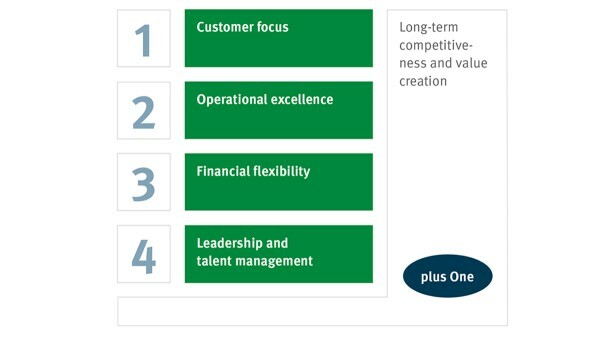 Our “Agenda 4 plus One” includes the following five categories: Customer focus, Operational excellence, Financial flexibility, Leadership and talent management, and – as “plus One” – Securing Long-term competitiveness and value creation. “Agenda 4 plus One” comprises 20 strategic initiatives that are most important worldwide and have been selected from a variety of initiatives. Each initiative is the responsibility of a Member of the Executive Board as a sponsor and managed by a project manager. The stated aim is to successfully implement all initiatives by the end of 2020. “Agenda 4 plus One” will be implemented according to the successfully established project management approach of the program “One Schaeffler”. This approach makes certain that the design, implementation and management of initiatives carried out follow standard rules and criteria, and are supported and accompanied by an independent program organization under the jurisdiction of the Chief Executive Officer. Any strategy is only as good as its implementation.